See scan - perfect condition. This is a nice and scarce sports memorabilia piece - a 1953 Table Tennis World Championship participant official pin / badge. 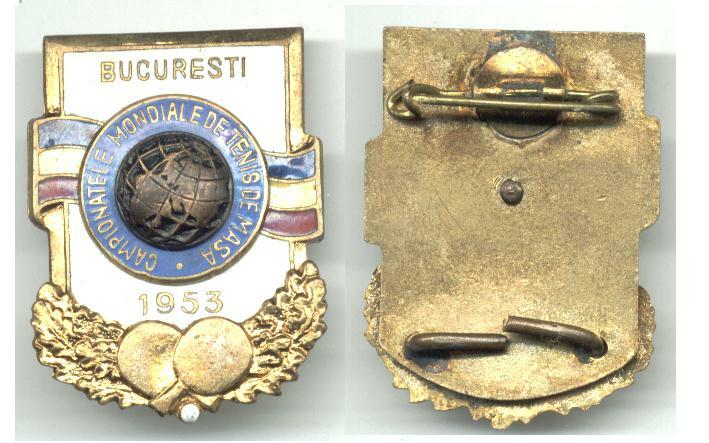 The tournament / competition was held in the Romanian / Rumanian Capital Bucarest in 1953. Nice and scarce collector piece and one of the rare Romanian sports pins / badges.